Cotton Quilted Multicolor Kantha Pillow Cover, Size: 18x28"
Grab this beautiful home decor 12"x20" white and yellow hand block printed desinger pillow cover. 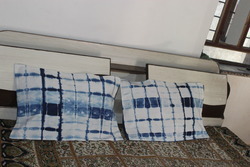 This exclusive hand block printing will shine out unique and will add more composure to your space. 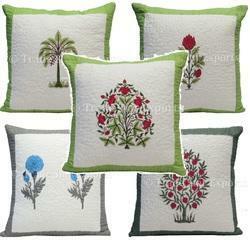 We are engaged in manufacturing and exporting a wide range of block print pillow cover.